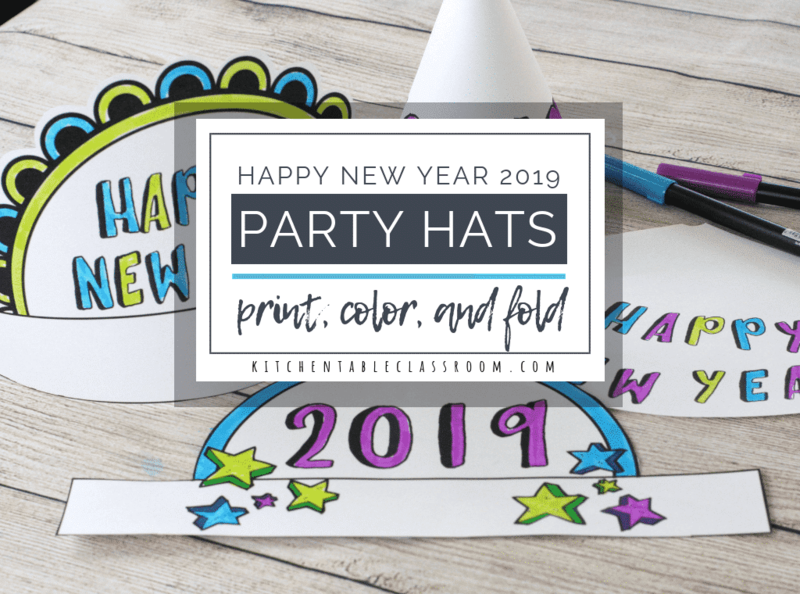 Simple bits of color turn into vibrant radial designs using this little permanent marker trick on any cotton fabric item- think t-shirts, wall hangings, tea towels. 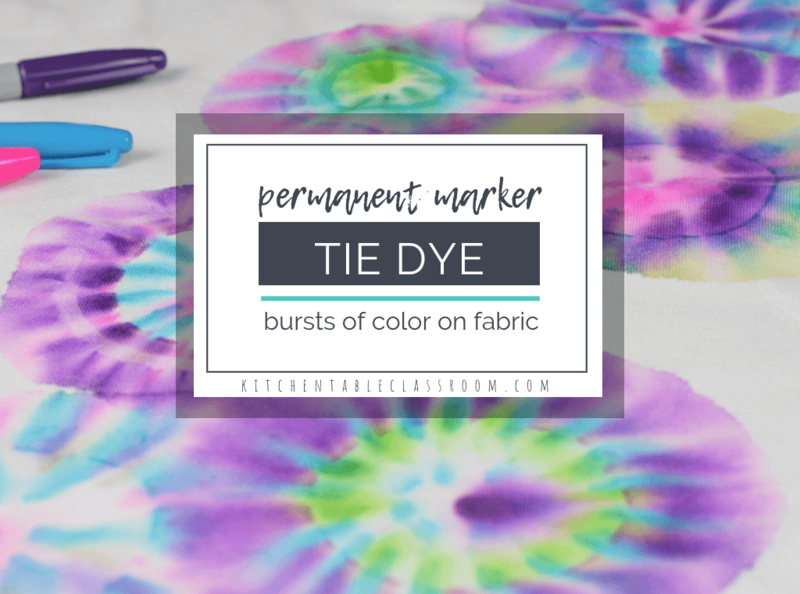 This Sharpie tie dye method is an easy and fun alternative to traditional tie dye! 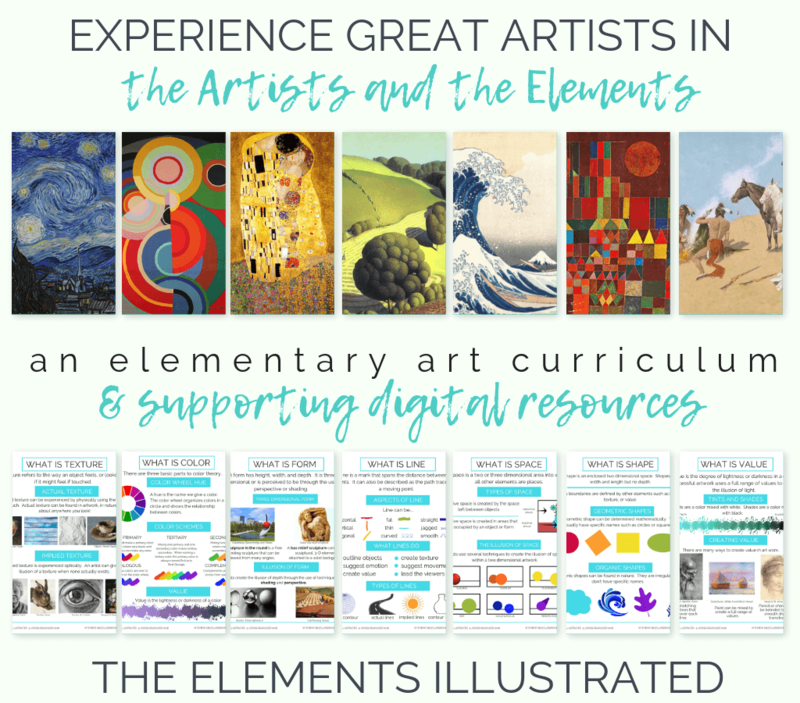 Creating something beautiful that gets used is just the best in my book. 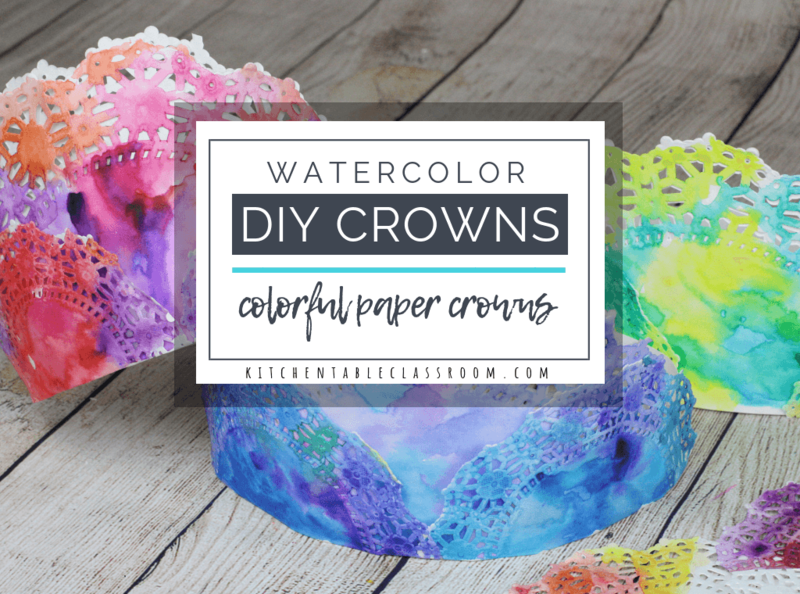 These painted crowns will do just that. 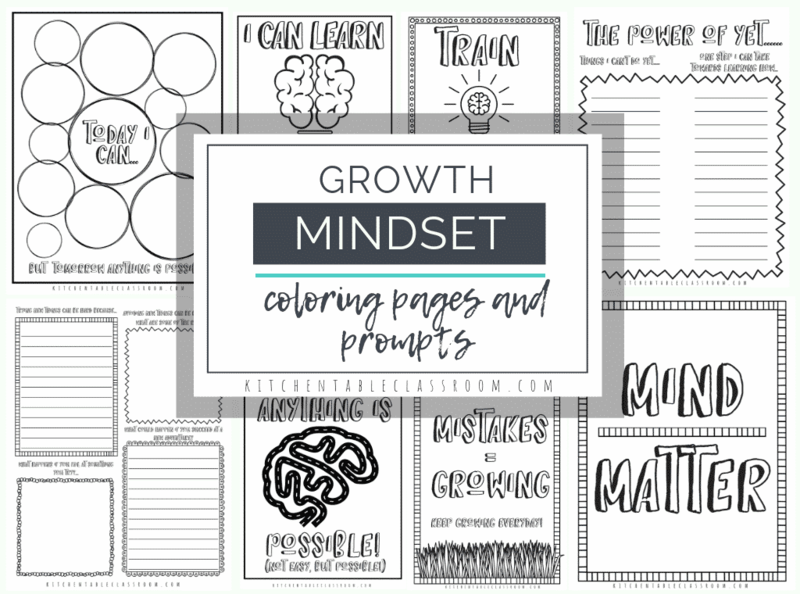 Kids can paint a colorful paper crown and then let it inspire a day of imaginative play. Is anyone at your house currently obsessed with all things llamas? They are pretty adorable and the current Fortnite obsession coursing through my children’s veins means llamas are extra cool. 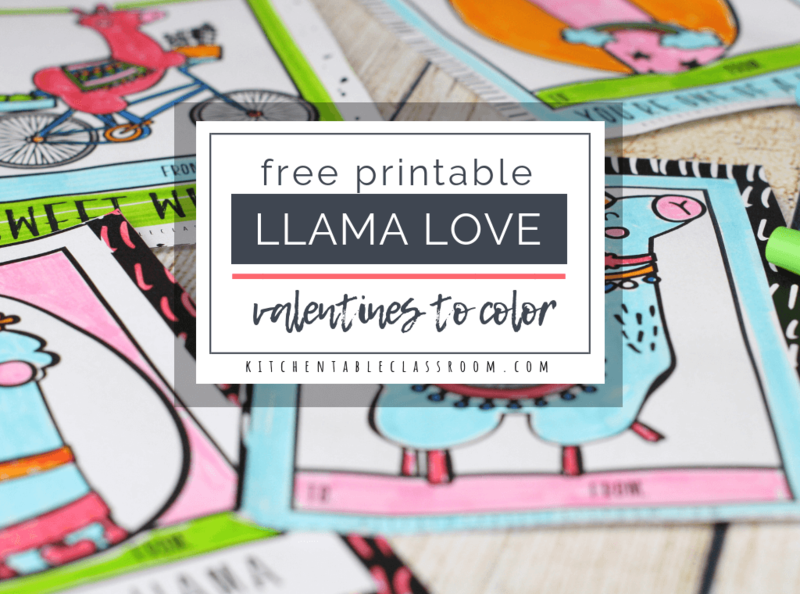 These free printable llama valentines are ready for your kiddos to color and give! 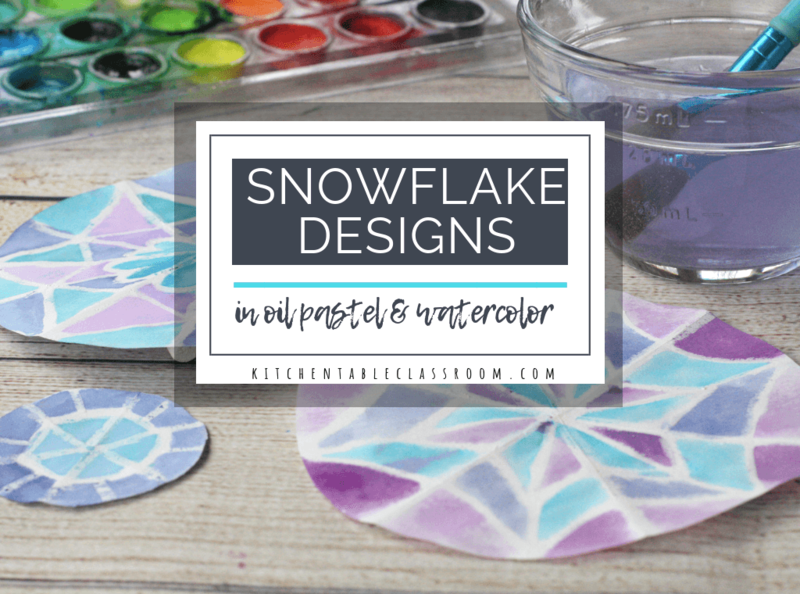 Oil pastels and watercolors are always a dynamic pair and this snowflake design is no exception. 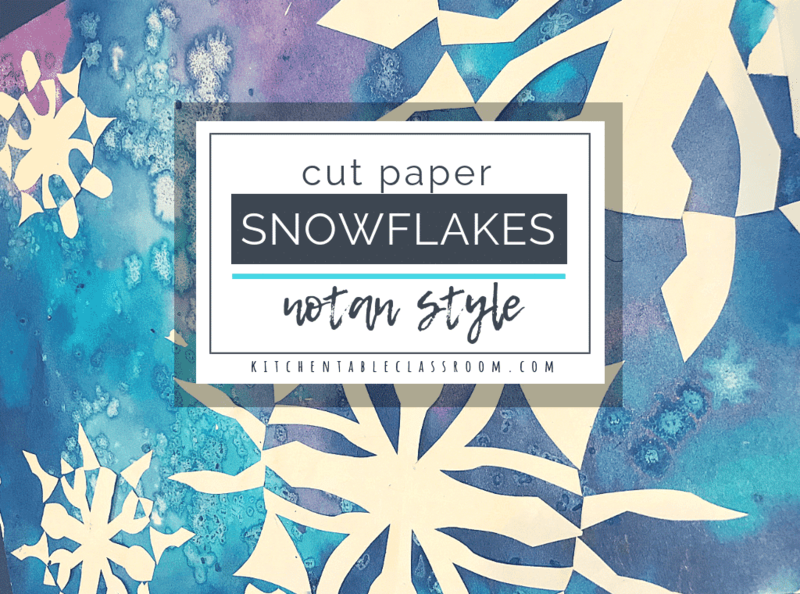 One part science and one part oil pastel resist magic add up to sweet, cool colored snowflakes designs to brighten up any winter day! Valentine’s Day crafts are a tradition at my house. All things hearts and lace are too sweet to pass up on in the dreariest month of the year. 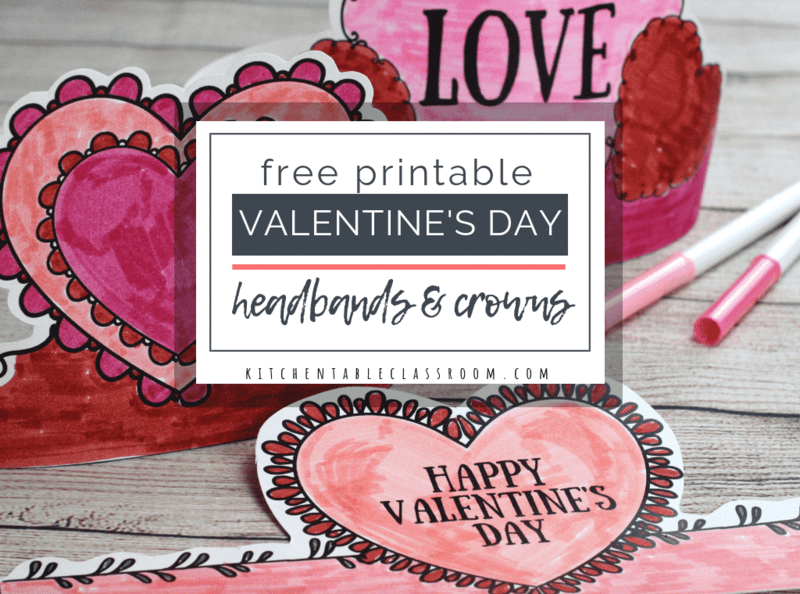 These printable Valentine’s Day headbands are a fun and easy Valentine’s Day craft that your little one can wear! 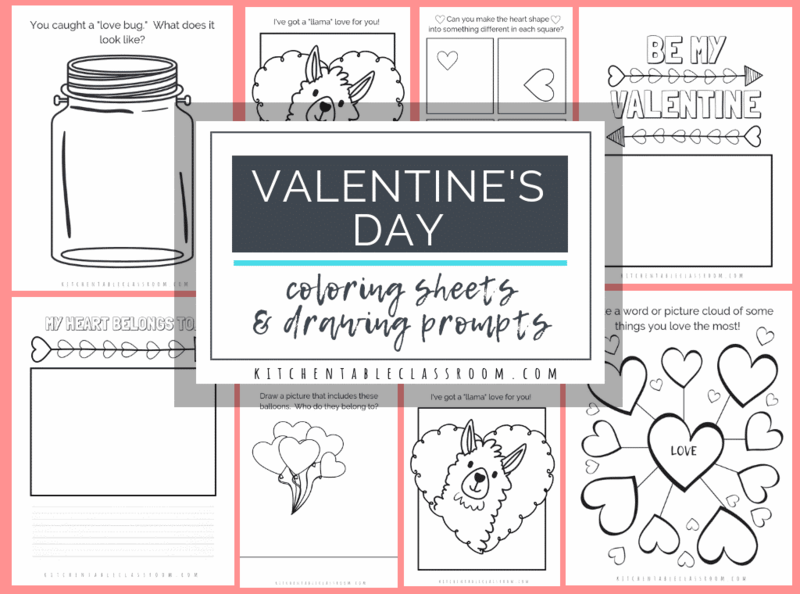 These free printable Valentine’s day coloring pages and drawing prompts are a fun and easy way to add a little creativity to the day. 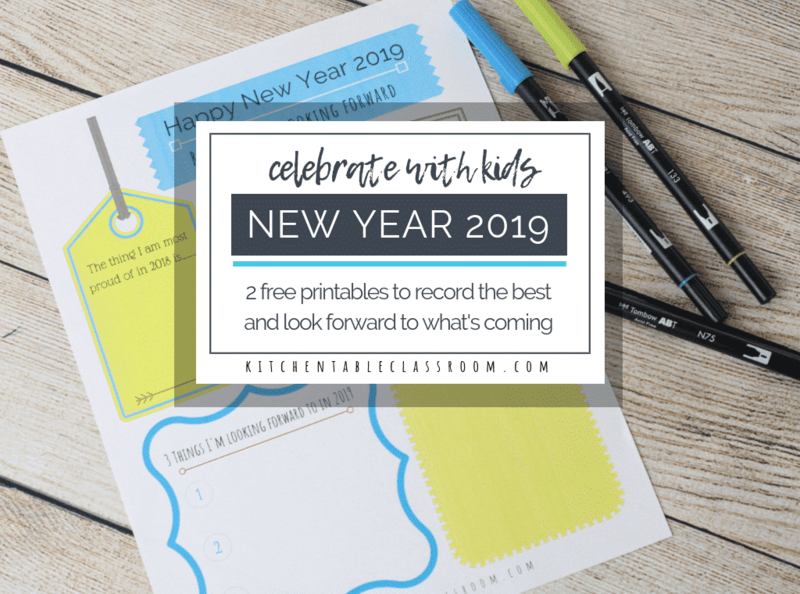 Grab some markers, crayons, or colored pencils and settle in for a little creative relaxation! 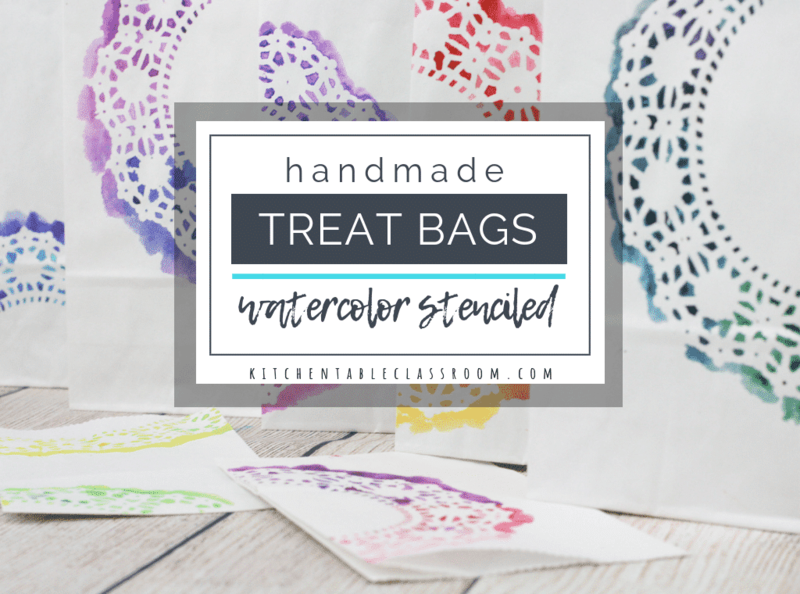 These lacy hand stenciled paper treat bags are deceivingly simple. 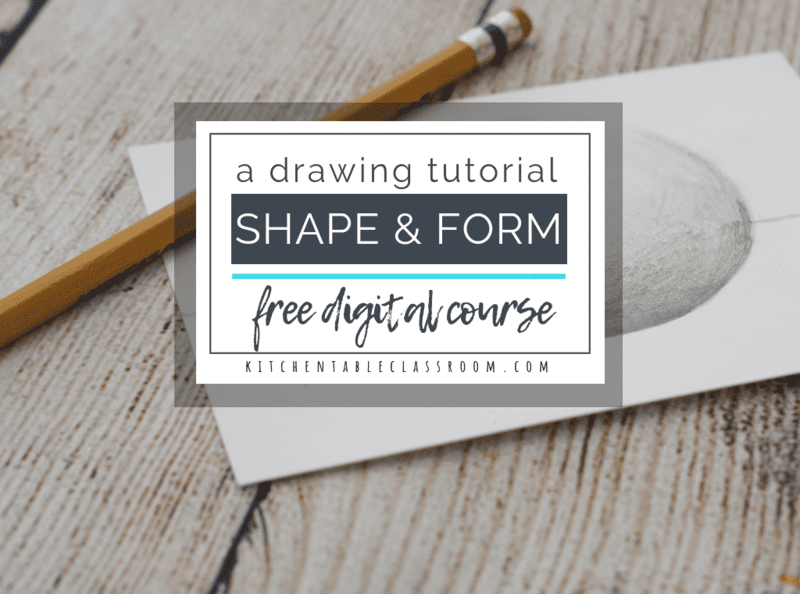 All of the details are thank to paper doilies from the cake decorating department. 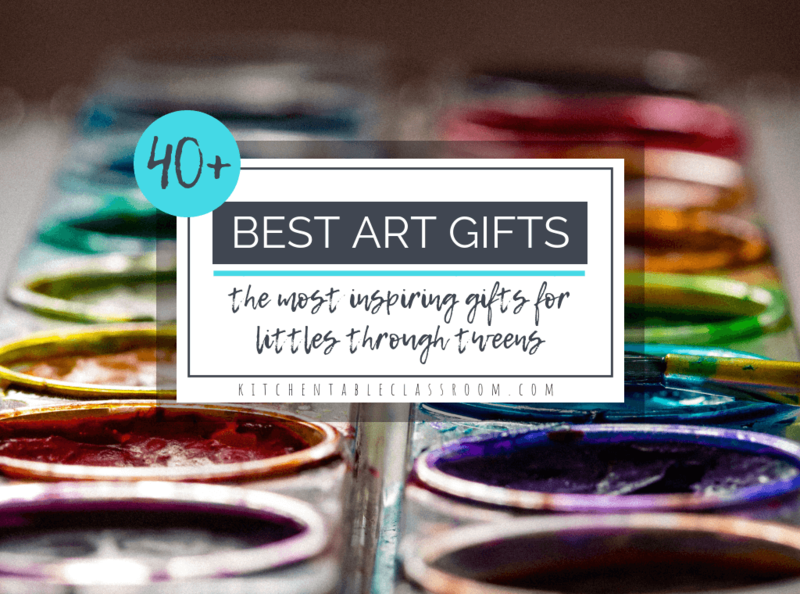 Add some vibrant watercolor and you’re set!